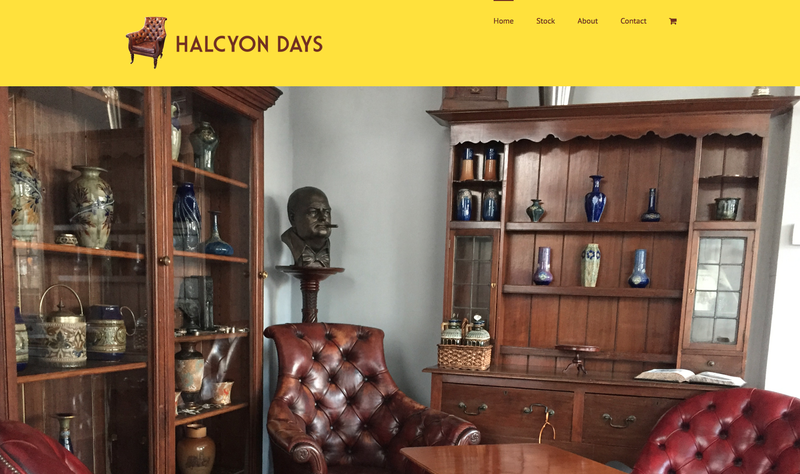 Halcyon Days is a company that deals in antiques and retro furniture and is located just above our main office on Hampton Wick High Street. The owner asked us to create branding and a website to help promote the shop and its unique and ever-changing stock online. As Collective Creative, we worked with the owner to create a brand and a style that we transferred to the website design. 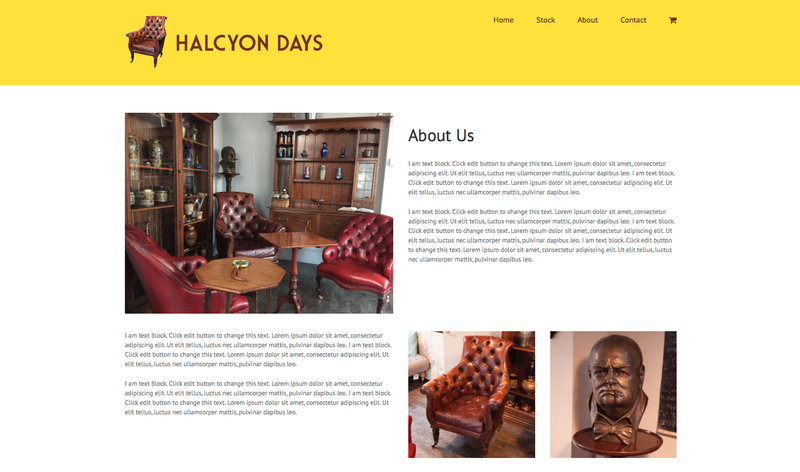 We secured a ‘dot-London’ domain for Halcyon Days to draw on the location of the shop and to appeal to a local audience. This simple and easy to navigate website contains a Homepage, an ‘About’ page and a ‘Contact’ page – but undoubtedly the most important area on this website is the ‘Stock’ section which sorts the products into relevant categories. These categories each contain portfolio items of the current stock. 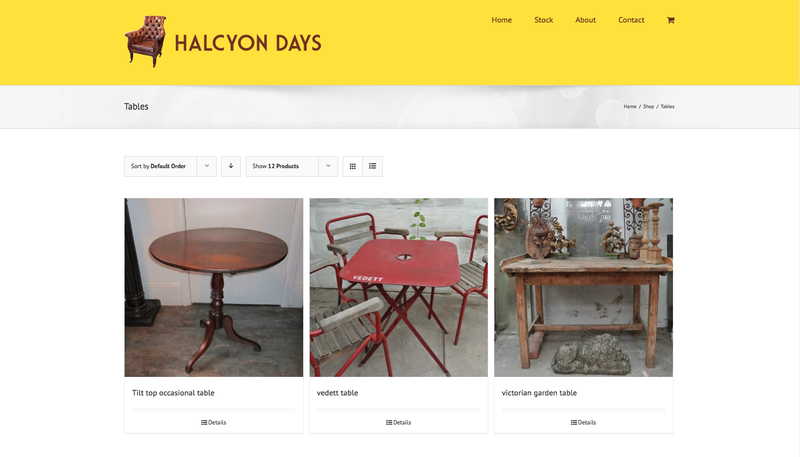 The product pages contain an image and description of the product, along with the price and can be easily updated through the CMS if a new item is added or a product is purchased in-store. To view the finished website, please click on the link below.